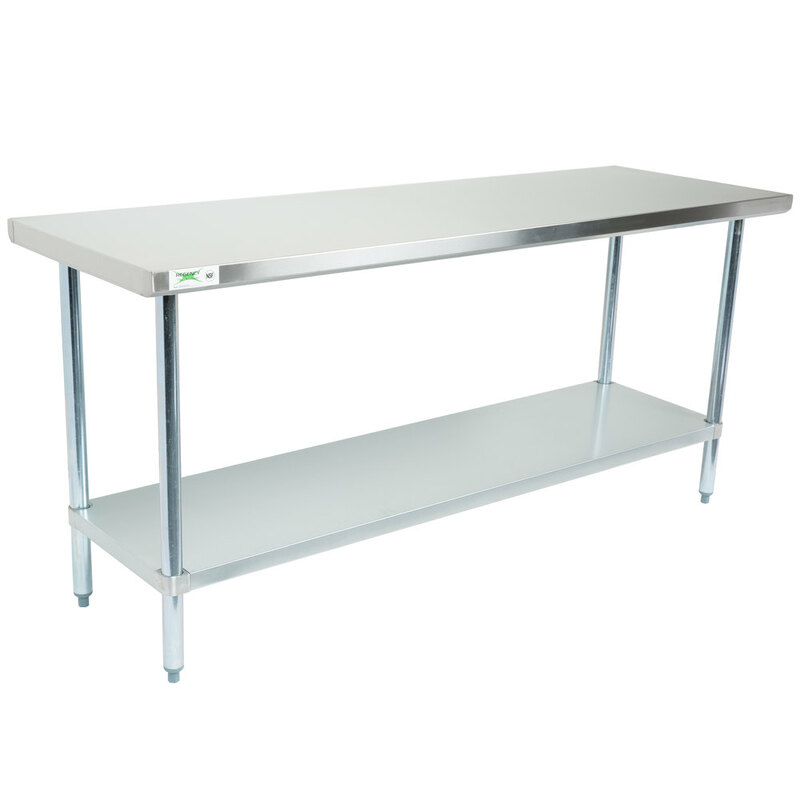 This Regency 30" x 72" stainless steel commercial work table with undershelf provides additional work space in your busy kitchen. Great for prepping entrees, sides, and desserts, it's constructed from 18-gauge, 304 series stainless steel which offers greater durability and corrosion resistance than type 430 stainless steel. It has a smooth, easy-to-clean surface which makes this work table an ideal addition to your establishment. 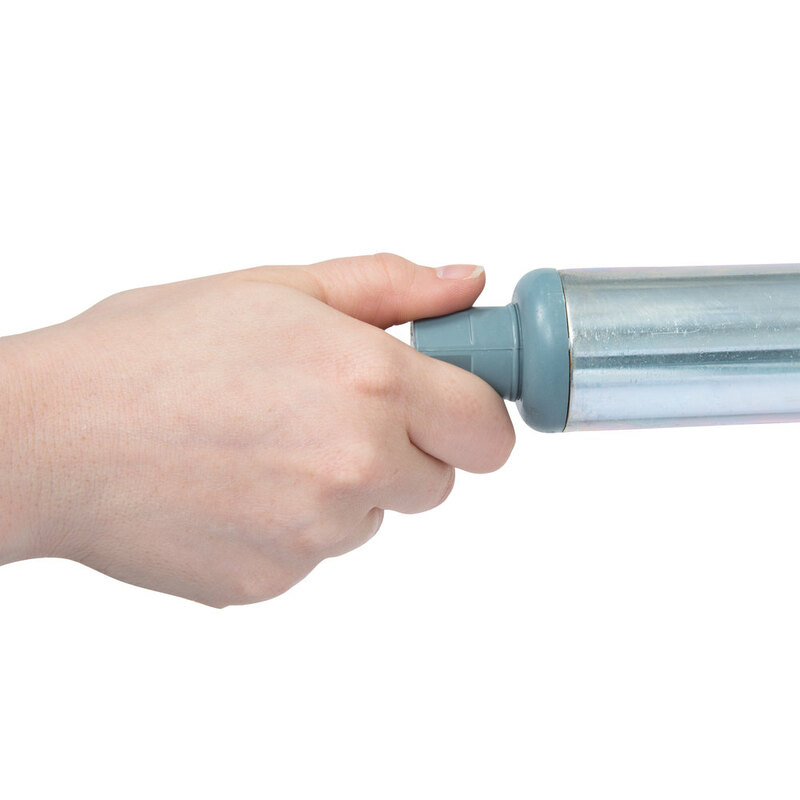 With the ability to hold up to 540 lb. of evenly distributed weight on the top shelf and 410 lb. 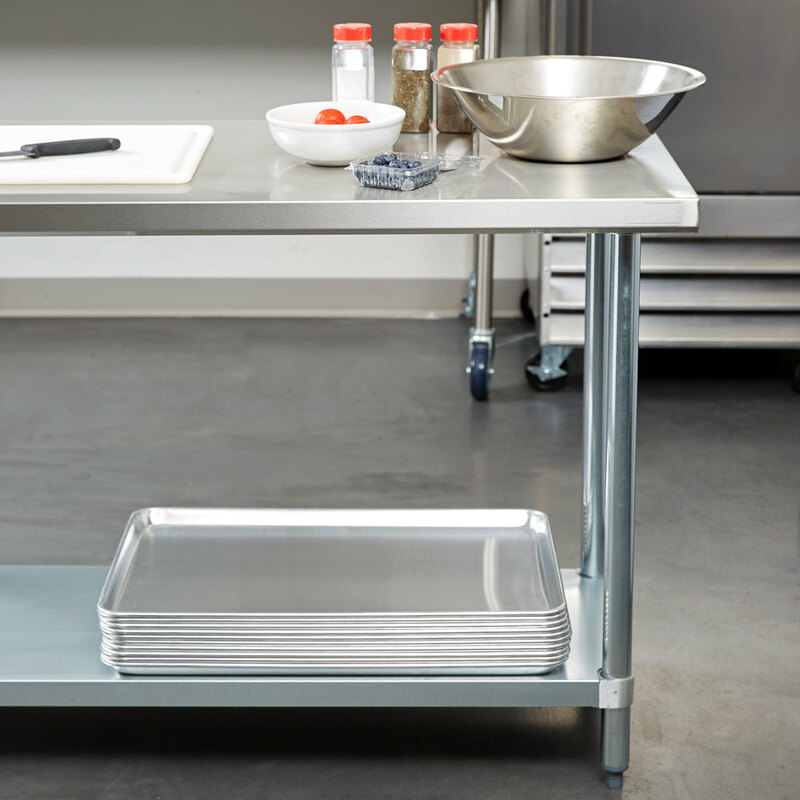 on the undershelf, this work table provides additional storage options in crowded kitchens or tight work spaces. 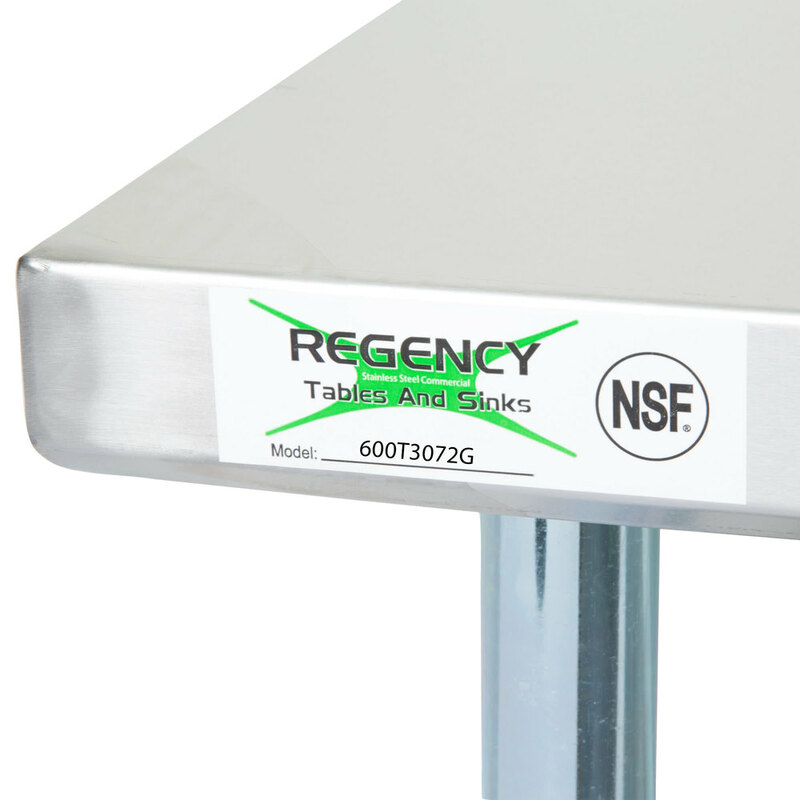 The adjustable, galvanized steel undershelf should be placed 6" off of the ground when used in food service applications to comply with food safety regulations. Plus, a height of 34" allows you to can create a comfortable work station for your employees. 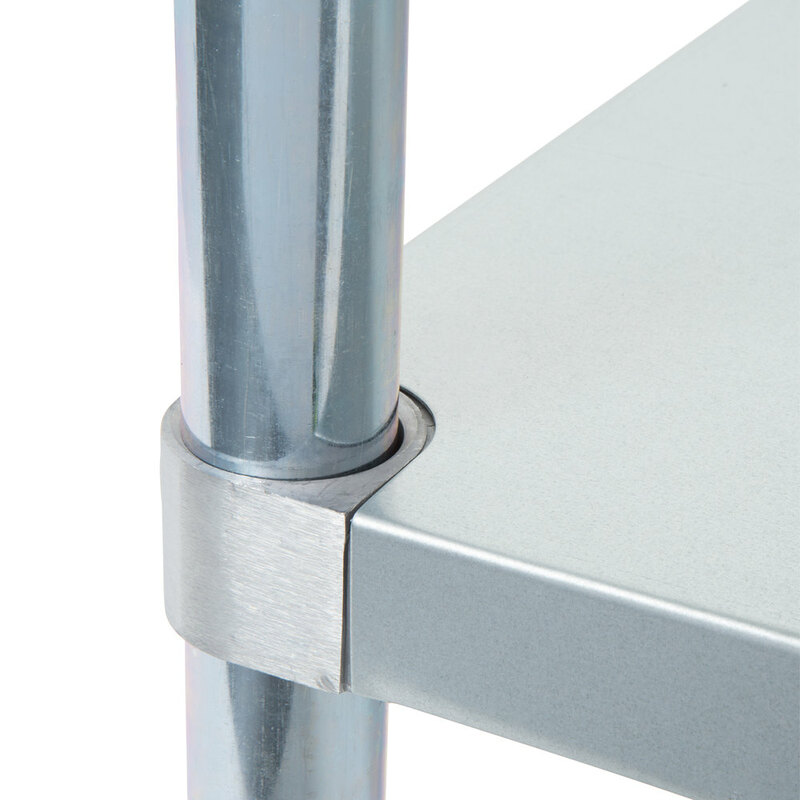 For increased stability, the legs of this work table are 1 5/8" in diameter and are also made of tubular galvanized steel, with plastic feet that are adjustable up to 1" to best fit your needs!